This publication has now been updated. Please click here for the latest edition. 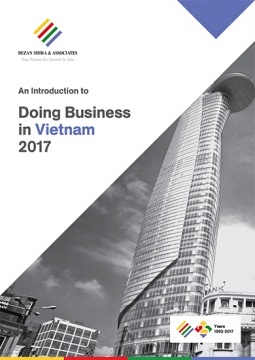 An Introduction to Doing Business in Vietnam 2017 provides readers with an overview of the fundamentals of investing and conducting business in Vietnam. Compiled by Dezan Shira & Associates, a specialist foreign direct investment practice, this guide explains the basics of company establishment, annual compliance, taxation, human resources, payroll, and social insurance in the country. What are Vietnam's major taxes? The content of this guide was compiled by Dezan Shira & Associates staff in Vietnam, providing corporate establishment, business advisory, tax advisory and compliance, accounting, payroll, due diligence and financial review services to foreign investors in emerging Asia.